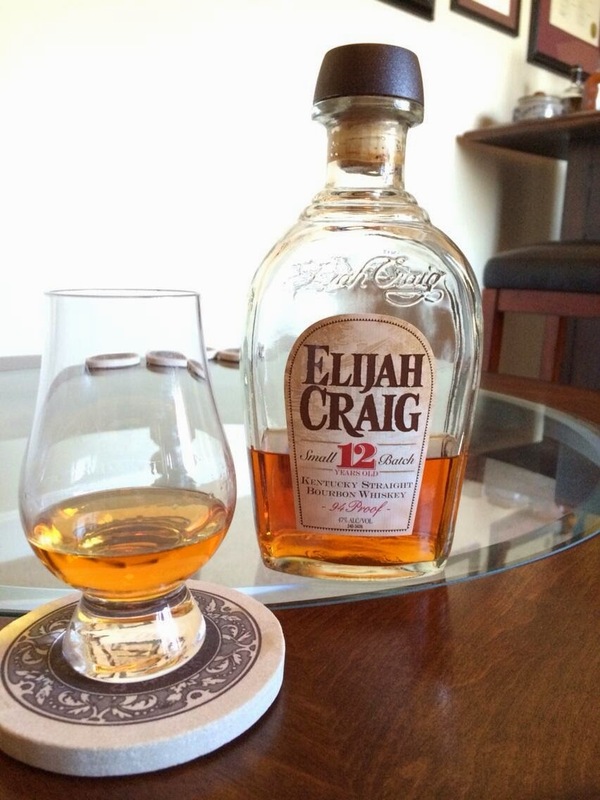 Elijah Craig was a Baptist preacher in the 18th century and is credited for making this wonderful bourbon. This small batch, 12 year old bourbon is a product of Heaven Hill Distillery (located in Bardstown, Kentucky), and is their flagship product. Bottled at 94 proof, this bourbon is well balanced and makes for a great daily sipper. Nose: A very well balanced nose. floral, honey, vanilla bean, caramel, nuts, dark fruits, and toasted oak. Taste: Salted caramel, vanilla, candied fruits, rye spice, toasted oak. Finish: Medium in length. Notes of salted caramel, rye spice and toasted oak linger. Conclusion: There is a lot of depth to be found in Elijah Craig Small Batch bourbon. The age really expresses itself as there is heavy oak presence throughout the nose, taste, and finish. The flavors compliment each other well and the 94 proof makes for a nice, warming finish. At $20-30 it's a great bang for the buck! 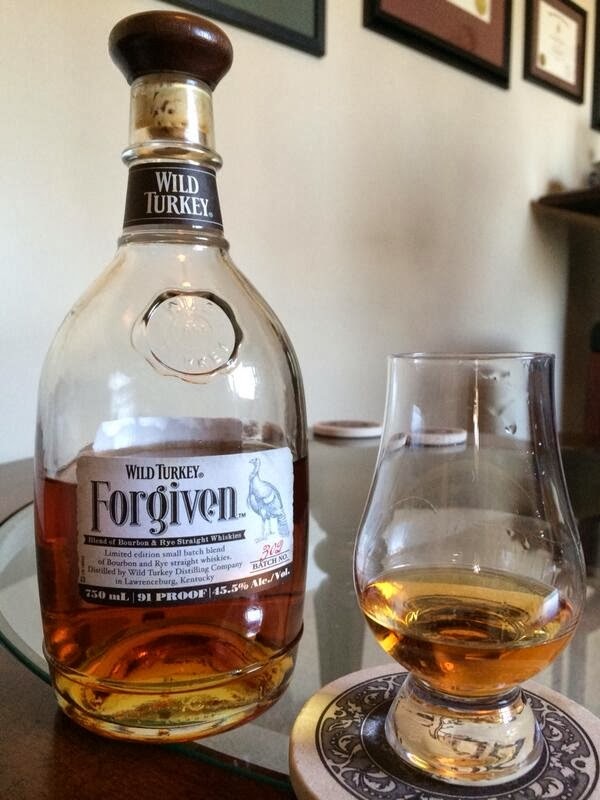 Wild Turkey Forgiven is a blend of six year old bourbon [78%] and high proof, four year old rye [22%]. The back story behind this product is that the Wild Turkey Distillery staff accidentally mixed the two whiskies. When Master Distiller Eddie Russell tasted it, he deemed it "exceptional whiskey more than worth of bringing to the market", and thus "Forgiven" was born. It is bottled at 91 proof. Finish: Short and Smooth. Brown sugar, oak, peppery. Conclusion: Personally, it matters not whether this is a true story or just a creative idea from their marketing team; I like the story and I like the whiskey. It is a limited edition offering (unless the distillery crew happens to make another mistake), so I suggest you pick it up if you can find it. Founded in 1997, Jefferson's is a bit of a newer company. Trey Zoeller is the "Master Blender" (not Master Distiller) as Jefferson's sources their juice rather than distill it themselves. They have a variety of products and are doing some very innovative things. This bottle is No. 1952 of 2400. Batch No. 115. Proof is 90.2%. Nose: Floral, Butterscotch, Creamy Vanilla, Raisins. Taste: Very smooth. Brown Sugar, Tobacco, Rye spice, Oak. Finish: Short and crisp. Tobacco and Oak lingers. Conclusion: Very smooth and easy to drink however the flavor profile is quite subtle. While I recommend you give this try at a bar or pick it up on sale, at $50-60, this is not something that I would keep stocked at the home bar.